Are Netflix and Spotify Really Reducing Piracy? Digital streaming services like Netflix and Spotify are reducing piracy, according to an article in the Daily Telegraph earlier this week. It’s a great headline and there is certainly some truth to it, but let’s not put out the party bunting just yet. The article, which was reporting on the latest Online Copyright Infringement tracker from the Intellectual Property Office (IPO), looks at the meteoric rise of paid-for streaming services and how this has coincided with a small yet significant drop in online copyright infringement to the lowest recorded rate in years (down from 17% to 15% since 2013). In addition, the figures show that for the first time, those consuming content from exclusively legal sources has risen to 44%, a 4% increase since the end of 2015. This certainly is good news for the UK’s creative sectors and what we expected to happen as digital services became increasingly convenient and value for money. But look a little deeper behind the headlines and you can see the bigger picture. The IPO tracker looks collectively at all types of creative content, from music, film and TV, to games and publishing. Music has seen a great correlation between the adoption of streaming services and a decrease in piracy. And yet piracy remains a big problem. None more so that for the audio-visual category. Our own tracking figures provided by ICM show that film and TV infringement levels remain static at 23% in terms of the proportion of people accessing film and TV content illegally, but that those people are infringing more by volume. This is supported by the IPO figures, which show an estimated 24m films and 27m TV programmes were accessed illegally online in the last three months. Just as the majority of people are binging on legitimate content online, a small but significant minority are also increasing their share of unauthorised access. The impact of this on the industry is huge. In 2015, the top 20 titles made up a total of 41% of the total UK box office, meaning that a high percentage of films weren’t seen by a lot of people. Without the continued investment that paying for legitimate content provides, it will be increasingly difficult for independent and smaller studios to make films, ultimately reducing the choice for consumers. The reasons why people pirate haven’t changed much over the years, with the most commonly cited reasons for infringing stated in the IPO tracker as because it is free (49%), convenient (45%) and quick (42%). Speed and convenience have both shown increases in 2016 as the individuals and organised criminals running pirate operations take advantage of the same technological advancements that have leapt our industry forwards. The top factors that infringers said would encourage them to stop include making legal services cheaper (24%), if everything they wanted was available legally (20%), and if it was clearer what is legal and what is not (19%). The industry has already made great leaps with its investment in innovative digital services and continues to do so. Addressing confusion over what is and isn’t legal is where consumer education campaigns come in. The IPO figures show the proportion of people claiming to be ‘not at all confident’ in what is and is not legal online has remained stable in 2016 at 16%. The lack of confidence is more prevalent among females (47% v 33% of male) and C2DEs (46% v 38% of ABC1), i.e. those less likely to participate in all forms of online activity, and generally increases with age. Understanding the morality of those that infringe is equally important in winning the hearts and minds of audiences to do the right thing. Both those who only access illegal content and those who access a mix of legal and illegal content were less likely to think “it is wrong to access content online without the creator’s/artist’s permission – 41% and 39% respectively compared to 62% among those who consumed all their content legally – the latter figure had also declined significantly in the latest period. This is somewhat alarming, and proof if it were needed that as an industry we must provide a constant counter-narrative to piracy, educating consumers about the impact of their choices, inspiring them to respect the value of creative content by demonstrating that film, TV and video have an entertainment value worth paying for. As digital paid-for services become increasingly convenient and cost effective, it’s only right that we continue to see such an increase in their adoption. But unfortunately as the industry innovates, those that seek to steal our content for their own commercial gain are never far behind and we need to constantly be on our guard. The IPO’s research provides much needed evidence to inform thinking and in turn policy, such as increasing the maximum sentence for industrial scale online copyright infringement from two to ten years, outlined in a proposed Digital Economy Bill in the UK. There is no miracle solution or silver bullet to end piracy, but nor is there room for complacency. Through a continued collaborative approach of innovation, enforcement, lobbying and education, we will protect our creative content, now and for future generations. This article was first published in The Huffington Post on 8 July 2016. 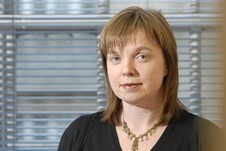 Liz Bales joined the Industry Trust for IP Awareness in November 2006 following seven years at Universal Pictures UK. During her time at the Industry Trust, Liz has specialised in consumer outreach and education programmes in relation to copyright and the creative industries, consumer research and campaign evaluation and is a regular spokesperson for the audio-visual industry in this field.